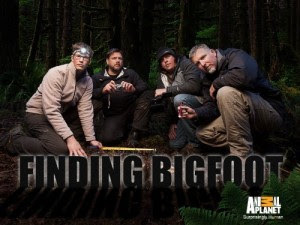 First let me start by saying I'm not the biggest fan of the Finding Bigfoot TV show, I do enjoy watching it but seems each week the cast says or does something totally dumb that makes the whole bigfoot community look like a bunch of loons. The Beast of Gun hill episode was one of the better shows from the complete lists of shows. I do think the Beast of Gum Hill video is a fake but this does not mean there is not legitimate sighting in the area. There is beautiful mountains and plenty of food and water and last nights show had a couple of good reports of sightings. The sighting of the Police officer guy, the one who has not been hunting from 1993 after he seen a Bigfoot up close.....to me he was very creditable and believable in his story. Plus the other 2 that were featured were pretty good as well. I personally have been in and around that area and there is some very dense and vast forest there...so it is very possible that bigfoot calls it home. 60+ videos & 650+ pictures on our facebook site check it out by clicking the link below. Should Bigfoot Have Human Rights? Clear picture released of Bigfoot! Strange Boxes and Now Waterborne life form ! I'm Now a believer Says woman! Are Some of The Erickson Videos Fake? Sierra Kills,Ketchum News and More Update! Erickson Project video is on Youtube! New Video Breakdown ! BF in Western Mass? Iceland Lake Monster Captured on Video! Police dash cam catches UFO in Texas? Outbreak Of FAKE Videos hit Youtube!